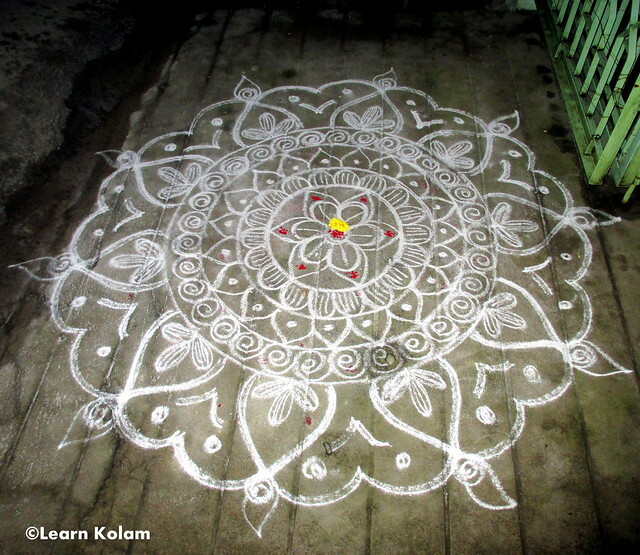 Here is yet another freehand Rangoli design which u can draw for any festivals or special occasions.Its just a simple floral design.You can run your imaginations and expand this kolam to any extent.If u want to make it small,just skip the outer part & draw the middle portions alone.This kolam looks more beautiful if u fill it with colors .Hope u all like this design. very colorful post! I love these rangoli designs. I learned many of the designs from my mother. They really reflect or beautiful culture. Thanks for providing them.